Dr. Jeffrey M. Kern has been an academic clinical psychologist at Texas A&M University and the University of Nevada - Las Vegas since 1979, specializing in the measurement and prediction of human behavior. Born in New York City, Dr. Kern's family suffered severe financial losses during the stock market decline of the mid-1970s and his small childhood savings were then ravaged by the inflation of the late 1970s, spurring him to spend years researching the prediction of the gold market. His subsequent 22 years of experience in trading the precious metals have been guided by his most profound discovery, the SKI indices. 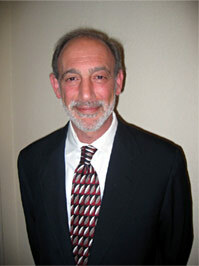 Although he has received various professional awards, including being named the 1998 Nevada Psychologist of the Year and serving as the Director of two doctoral programs in Clinical Psychology, his unique mathematical accomplishments in predicting the gold market have not, as yet, been recognized by the mainstream financial media or the societies for technical analysis. Dr. Kern's most prominent assets are his wife of 30 years (Lisa) and his two sons (Joshua and Douglas). Prediction is the essence of science, and although financial publications regularly dismiss the possibility of predicting market movements, Dr. Kern's ambition is to indisputably demonstrate the fallacy of such assertions. The ability to predict human behavior, evaluated via the objective and error-free measures of daily financial markets, is his intellectual and personal passion. He invites you to join him in his profitable, scientific, and personal journey.